While his early career consisted mainly of bit parts, Jackson wowed audiences with his Oscar-nominated turn in 1994's Pulp Fiction. The actor continued to turn in strong performances in Jackie Brown and Unbreakable. 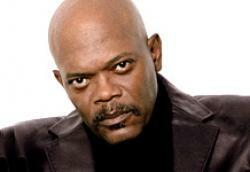 In 1999, Jackson got the role of a lifetime as Jedi master Mace Windu in the Star Wars prequels.